This is a Mystery Quilting event in that you will not know what the finished project will look like. Our instructor does have a master plan that will produce a great quilt with YOUR favorite embroidery designs. If you do not love, or have not used, the embroidery side of your machine before...you will love it after this. If you do machine embroidery and have always wanted to put designs together to make a quilt you will also love this class. Requirements: Please bring basic sewing and embroidery supplies including your sewing/embroidery machine. 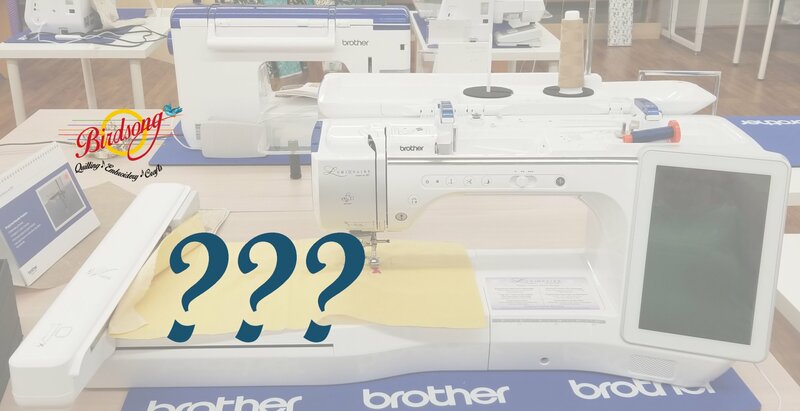 If you would like to sew on one of ours please call and make arrangements, we will have a limited amount of spare machines. There are specific fabric requirements, you will need 2-3 Applique Embroidery Design packs (likely you have been collecting designs already and have plenty to choose from). Please call or stop by the shop for specific details.